I wonder: am I a leech? I post a lot of questions and I always obtain learned answers. But rarely, if at any time, am I skilled enough to return the favor and post an answer. How can I contribute more to the community? I am glad you wish to contribute to our community. One of the best ways to do this is by asking good questions, as noted in the comments. Be clear, concise, and considerate of future readers who may have a similar problem but not understand your circumstance as well as you do. You will find that many of the best questions are posted by users who do not have a particularly high "reputation" score, and IMHO the site would be impoverished without these contributions. Many posts initially need some editing, especially those by new users. Performing this editing is a significant service to the community, as is instructing said users in correct formatting and the use of the editing tools. Posts that are "spam" or have serious problems should be flagged for moderator attention, and when you acquire the Close Vote "privilege" its well reasoned use will be much appreciated. Do not underestimate how important good questions are for the health of the community and how much they are appreciated by other users. I personally find writing a good question much more difficult than writing an answer, which accounts for why I (still) haven't asked any questions yet, apart from self-answered ones. If you're happy with the quality of your questions, then rest assured that you are already making a big contribution to the site. I have not previously answered a Meta question. I learn from the answers and the commentary but have felt I had nothing to contribute. "reputation": my reputation is based almost entirely on what a colleague of mine would call 'low hanging fruit': the simple(r,st) questions. The process of answering these questions can be a catalyst for (friendly) competitive answers. It never ceases to surprise me the creativity of the users. I have learned a lot from these. So, I agree entirely with rcollyer and J.M. 's comments in this regard. I am not really an expert in anything. As bills observes a point came where I thought I could answer a question and so it started. Please know that I have posted some embarrassing blunders and unmasked (to my shame) important gaps in my understanding. This has, without doubt, taught me a lot. Contribution: I am not sure I contribute particularly. I do not really understand chat (my children rebuked me for my SMS skills by emphasizing "short message" and my use of emoticons is a source of eye-rolls). I vote too infrequently and I do not participate enough in closing/editing/first post assessments. Perhaps all give what they can (as well as receive). 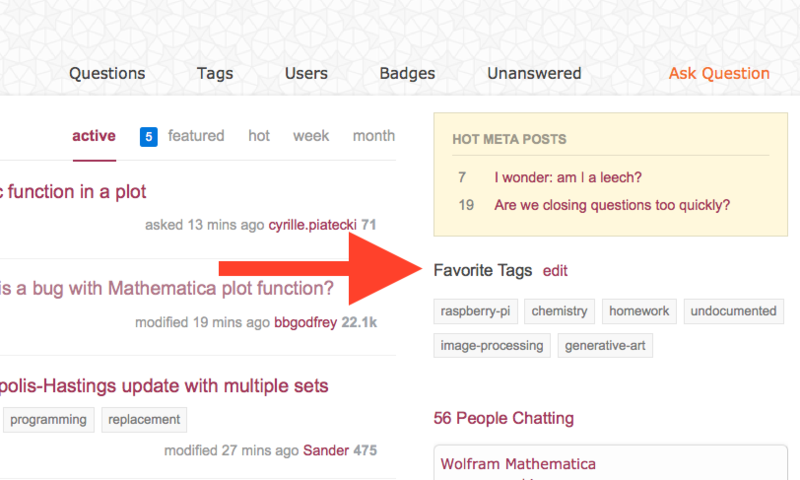 Finally, I have found Mathematica Stackexchange a diverse, creative, and extremely self regulating community. The common bond is enjoyment of the flexibility/versatility of Mathematica/Wolfram Language. The diversity of people, backgrounds (almost all hidden) playing in this playground has been 'therapeutic', interesting, humbling, and educating. I hope it continues in this way. This is entirely opinion based. I just posted this to present a non-expert, essentially l'homme moyen. Shall we ask questions which are not really questions?